The Light Combat Aircraft (LCA) Tejas successfully fired Derby Air-to-Air Beyond Visual Range Missile to expand the firing envelope as well as to demonstrate safe operation of the aircraft during missile plume ingestion into the aircraft engine under worst case scenarios. The missile was launched from Tejas piloted by Wg Cdr Siddharth Singh on April 27 from the firing range off the Goa coast after exhaustive study of the missile separation characteristics and plume envelope. Tejas has been designed and developed by Defence Research and Development Organisation’s (DRDO’s) autonomous society – Aeronautical Development Agency (ADA). Integration of Derby, a BVR class missile is one of the major objectives of Final Operational Clearance (FOC) of Tejas. 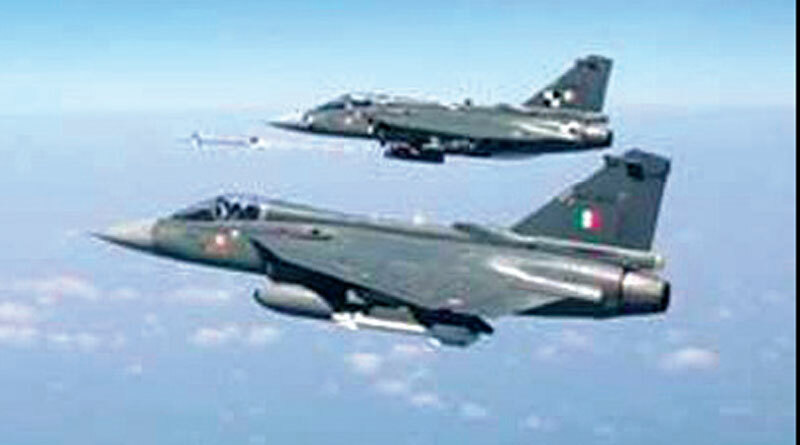 The aircraft was tracked by two other Tejas aircraft in close formation to capture the firing event in the specially instrumented high-speed cameras for detailed analysis and comparison with the simulation model for validation. Based on the successful integration and demonstration, Regional Centre for Military Airworthiness (RCMA), a unit of DRDO has cleared the series production aircraft of Squadron 45, to be equipped with Derby operational capability. Tejas has successfully completed a series of captive flight trials to clear Derby for the full operational capability in the entire FOC envelope. In the past, Tejas has qualified for the armaments and missile release related trials. Defence minister Nirmala Sitharaman complimented DRDO and other agencies involved for making Tejas fighter jet, a world class aircraft platform. Chairman DRDO & secretary department of defence R&D Dr S. Christopher, congratulated and said that with this firing Tejas achieved another major milestone towards FOC certification. FORCE has managed to grab the right eyeballs within the government of India, and the top leadership of the services. 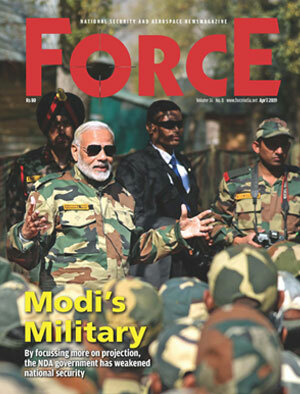 Today, FORCE has the largest subscription base from within the three armed (Indian Army, IAF and Navy) and the Paramilitary (CRPF, BSF, ITBP and SSB) forces in India. FORCE is also read keenly in the industry, by the policy-makers, the strategic community and the general readers.